It has been argued that driving is one of the most important skills that a person can possess in his or her lifetime. With excellent driver education and driver training, we can make a difference and assist in minimizing traffic collisions involving teens. Our team leader, Mr. Henry Ramirez has a lifetime teaching credential in Driver's Ed and Traffic Safety from Cal State University, Los Angeles. He also has a Bachelor of Science in Police Science and Administration. He is a retired California Highway Patrol Lieutenant with over 35 years of driver training experience. Through his guidance, we have developed a high caliber program that would provide your son or daughter the foundation necessary in developing into a defensive driver. One of our goals is to make the transition from driver education to the behind-the-wheel training as smooth as possible. As online Driver's Education is an increasingly popular trend among teens, SafetyDriversEd.com was designed to be the most effective online course available. We offer an interactive educational course with the latest in animation, video, and web technology. 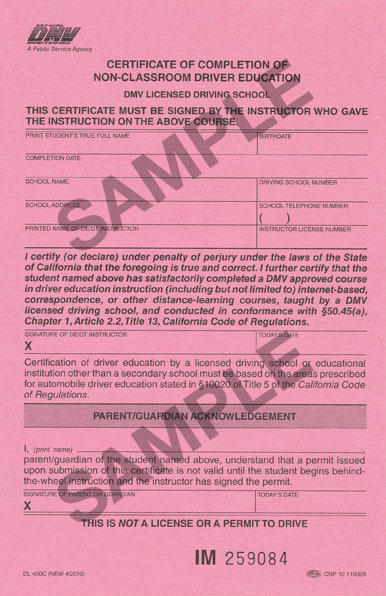 Our course is provided by Bay Area Driving School (Lic. 2559), 1070 A Street, Hayward, CA 94541. (510) 886-1016. Your first 25% of the course is FREE.